Which needs do they have? What is the boost to buy my product? Get reliable and useful information about your customer, from their socio-economic profile to their cost/value generation mechanisms. 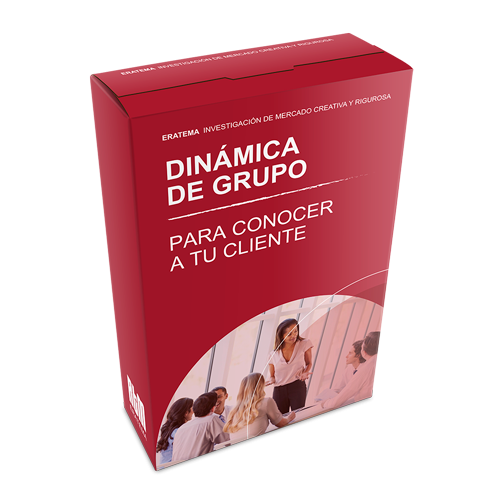 Deep understanding of your customer to make the most of your campaigns and products adapting them correctly to your client needs..
• Group dynamics. Group dynamics are based on meetings of 6 or 8 people with a specific profile, where they debate about a topic or they solve a problem during a limited period of time (from 60 to 90 minutes) in an empathetic atmosphere. In this context, the views of the participants are enriched and nourished from each other getting in-depth information enhanced by mutual contributions and reflections. The meeting is moderated by an expert in moderating groups. 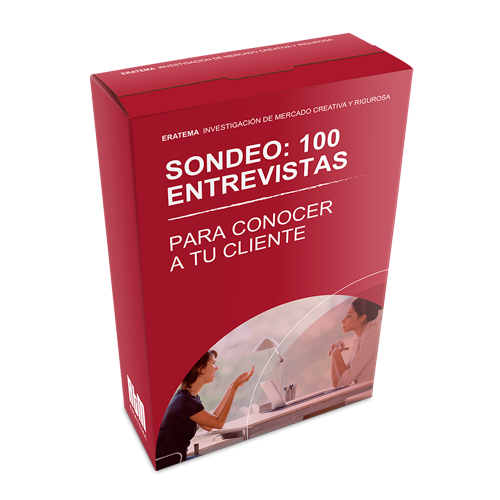 • Surveys: 100 online, personal or telephonic interviews. A survey is based on making a list of questions to the target public using a quiz in order to know and quantify the views and habits of the citizens about the topic that the customer is interested on. Quantitative research is based on the study of the elements that can be measured and quantified to establish the strength of association or correlation among key aspects, generalization, objectification and extrapolation of the resultss. Amount spent in market research that will allow your company to achieve the short/ medium term profit derived from knowing first hand your market of operation and, therefore, to speed up your project success.